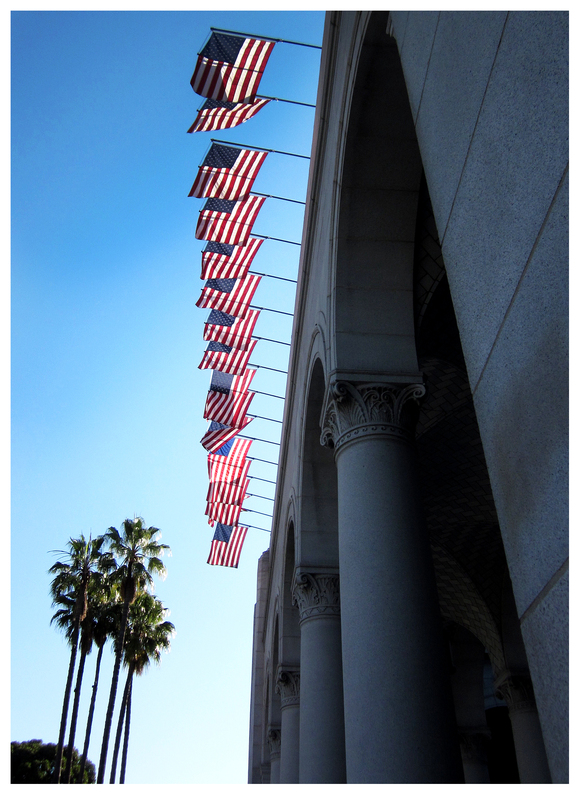 Although not usually prone to patriotic stirrings, the sight of backlit flags at LA’s City Hall this morning caused the orchestra to swell. Of course, it is 4th of July weekend, so there you go. Whatever you all have planned for this weekend, I hope it’s safe, fun and full of summery goodness! Happy Fourth to you and The Hub, too! … Try not to melt: it’s hot out there!